As one of the most renowned skiing areas and iconic attractions in Central Oregon, it’s no wonder that so many of Bend’s visitors are drawn to Mount Bachelor. Read on below to learn more about this unique Bend destination! Mount Bachelor is a volcanic mountain situated in the Deschutes National Forest that was formed from what was once a stratovolcano that erupted between 8,000 and 10,000 years ago. An eruption from nearby Mount Mazama around 7,000 years ago covered the mountain in ash, which remains on the mountain to this day. The mountain was given the name Mount Bachelor because of the way in which it stands apart from the iconic Three Sisters mountains, which are all grouped closely together. It has previously donned the names of Brother Jonathan, Mount Brother, and Bachelor Butte prior to its current name. Year-round, Mount Bachelor Bend Oregon provides endless sources of outdoor recreation and natural sightseeing. During the summer months, the mountain is home to incredible mountain biking, scenic chairlift rides, disc golf, and hiking. You can easily rent a mountain bike from one of Bend’s many local bike rental shops, then hit the thirteen miles of trails at the Mount Bachelor Bike Park. In the winter, Mt Bachelor Bend OR is the most popular skiing locale in the Pacific Northwest, due to having one of the longest ski seasons in the region (from November to May) and receiving an average snowfall of thirty-eight and a half feet. With over one hundred runs spanning as long as four miles, a vertical drop of over three thousand feet, and upwards of four thousand skiable acres, Mount Bachelor Bend Oregon is among the best ski resorts in the country. Its terrain is primarily split between intermediate, advanced, and expert terrain, though there is a substantial amount of easier terrain for first-time skiers. Mount Bachelor also has eleven ski lifts for visitors’ convenience, as well as two tubing tows and one magic carpet—a lift-serviced snow tubing hill. Besides downhill skiing, visitors can enjoy snowshoeing, Nordic or cross-country skiing, sledding, snowtubing, and snowmobiling through Mount Bachelor’s gorgeous snow-blanketed terrain and the surrounding Deschutes National Forest. 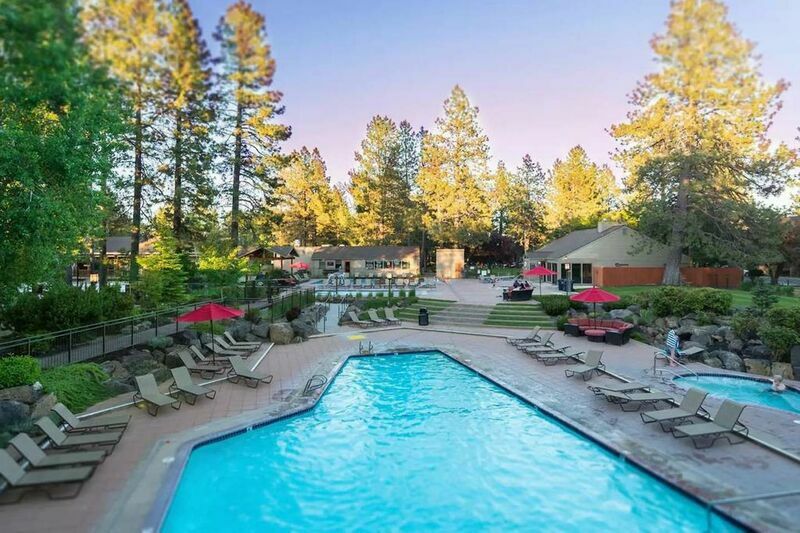 For more details on Mount Bachelor and other must-see locations around Bend, contact our office and reserve your stay in one of our spectacular vacation rental properties today!